Active Empathy — A grass-roots movement here in Los Angeles, grown out of the Indivisible: A Guide to Resisting the Trump Agenda. California 45th — California 45th is a nonpartisan constituent group based in the California 45th Congressional District. We promote reason and respect in local politics. Central Valley Progressive PAC — The purpose of the CVPPAC organization is to promote the human and civil rights of all Central Valley residents. This is to be accomplished through education and action. The CVPPAC will advocate and/or lobby elected officials relative to the concerns/core values of Central Valley residents. Fired Up LA — Through our efforts we can make a true difference, and find personal inspiration, during this troubled time and make sure the long-term success of our country does not fall victim to the short-term disaster that is Trump. Foothills Progressive Alliance (Our Revolution) – Our goal is to mobilize Progressives in the Sierra Foothills above Sacramento and to link efforts between Progressives in the foothills to Progressives in the Sacramento area. We are a sister organization of the Sacramento Progressive Alliance, the largest group of Progressive activists in the Central Valley with more than 6,000 members. Fresno Indivisible — We are one of the many local groups organizing to coordinate progressive voices. Come here to find calls to coordinated action! Fresno Progressives — Fresno Progressives began in September, 2015, as FP4Bernie Sanders (FP = Fresno Progressives). FP4Bernie Sanders was one of the earliest and easily, the most active in terms of volunteers and Bernie events in and around the Fresno area. Indivisible 30/Keep Sherman Accountable — This group is dedicated to ensuring the elected leaders in the 30th district in California fight for us. Here are important links! Indivisible California San Diego North District 49 — Indivisible San Diego North 49 is a grassroots political group organized for the purpose of resisting the Trump Administration’s dismantling of our civil liberties, social protections, and democratic institutions. We are a group of like-minded individuals dedicated to local organizing and action with the goal of defeating or delaying any policy that harms our society or our citizens. Invisible of California — Resist Trump’s agenda. We believe Trump’s agenda is racist, authoritarian, and corrupt, and it must be stopped. Focus on local, defensive congressional advocacy. Indivisible CA-25 Simi Valley Porter Ranch — Indivisible Group for Simi Valley and Porter Ranch. A group working in opposition to the Trump agenda of hate. IndivisibleCA29 — I wanted to create a group to specifically work on issues here in District 29 aka Tony Cardenas district. https://www.indivisibleguide.com/ I am following the “indivisible guide” which i have uploaded on this page and linked in this post. IndivisibleCA30-Sherman Action G — I formed this group to help connect with and motivate my Congressman Brad Sherman. He was just reelected and has been in Congress for many years. He has not been aggressive on issues of rights, Obamacare, etc. which I guess was ok in the past. As we all know, we live in different times now. As many of you did, I looked to see what I could do to make a difference in these turbulent times. Inspired by Indivisible. Burbank, CA 91505- Webpage: www.indivisibleca30.com–Twitter:@indivisibleca30. Indivisible CD8 Yucaipa Area — California Congressional District 8 direct action resistance group specific to the Yucaipa Area (Yucaipa, Mentone, Highland, Oak Glen, Forest Falls). An umbrella group for anyone committed to resisting Trump’s agenda. Invisible of California-Congressional District-31 — We need Pete Aguilar to show some spine in DC. If Pete is to represent us, he needs to speak out forcefully against Trump. We will applaud him if he does, and replace him if he does not. Indivisible of Central California and Other Friends — The mission of Indivisible of Central California is to build a community of like minded souls to organize, strategize and come together in the face of our common adversaries, who would gladly see our progress as a nation revert back to uglier, more dangerous times…..
Indivisible California San Diego North District 49 – Indivisible San Diego North 49 is a grassroots political group organized for the purpose of resisting the Trump Administration’s dismantling of our civil liberties, social protections, and democratic institutions. Indivisible Citizens of California’s 4th Congressional District — OUR MISSION is to resist the nationalistic and regressive policies of the Trump administration, and to heal the fractures that have divided our country so that we may return to the promise of one united nation, with liberty and justice for all. INDIVISIBLE D39 — Our mission is to engage, educate, and organize a diverse, community of California District 39 constituents to defend our values, our neighbors, and ourselves from discriminatory, authoritarian, and unconstitutional actions taken by the Federal government of the United States. Part of our culture of diversity is our belief that we don’t all have to agree with each other on every issue to be a powerful team. We welcome all levels of expertise and strive to maintain a supportive environment for anyone who wishes to learn, engage, and build a stronger community. Indivisible #DemEnter Davis California — Hey ya’ll! This is a group for Indivisible Davis, where we’ll be discussing and organizing so that our voices are heard by our representatives. Please feel free to invite folks who are interested in sending a message to our elected officials that to keep their jobs, they must represent us, and that they should do so by standing up to and fighting back against the hateful rhetoric and legislation of the GOP. spontaneously motivated to action by the election of President Trump. Indivisible Mono City/Lee Vining — Mono Basin group for resisting the Trump agenda via concrete action. Please note: we expect civil discourse only; any nasty/snarky/personal attacks will be deleted, a warning will be issued, and if uncivil participation continues, that person will be removed from the group. Indivisible Rome — Indivisible Rome is the Rome, Italy chapter of the Indivisible Movement created to organize people locally and resist Trump’s agenda. Indivisible Sacramento Valley (California) — Hey ya’ll! This is a group for Indivisible Sacramento Valley, where we’ll be discussing and organizing so that our voices are heard by our representatives. Indivisible San Benito — Resist Trump’s agenda. We believe Trump’s agenda is racist, authoritarian, and corrupt, and it must be stopped. We will work at the local level. Indivisible Students of Southern California — We are a student-based organization solely dedicated to holding our Members of Congress accountable for resisting Trump’s dangerously regressive agenda. Indivisible Ventura — We are Venturans, banding together to resist Trump’s agenda. Our group joins others all around the country to take back our country to take back our country from those motivated by hatred, greed and power, and make us truly an America for all. LA Freedom Fighters — The LA freedom fighters are engaged in a movement working towards change on the local, state and national level. We are a diverse group of activists that promote social, political, economic, and environmental change with the desire to make improvements in our society. THE MUFFRAGETTES — We are a group of women advocating for the rights of all. Progressive Parent Playdates —Calling all Progressive Parents… Let’s get our kids together, drink coffee and talk about matters that really concern us and what we can do about it. Make like-minded friends, watch your kids play, and participate in calls to action. 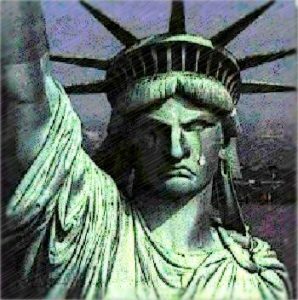 Resistance US – The Trump presidency must face active resistance from day one. Resistance US exists to coordinate acts of resistance. Rise & Resist: California District 31 — Using the power of a socially-conscious community Rise and Resist will use grass roots tactics to make for effective positive change. Solidarity Sundays Los Angeles — This is a place to discuss local events/rallies/political goings-on, as well as a central place to find SolSundays events in the Los Angeles area. Southeast Los Angeles Democrats — The Club works within the Democratic Party, and federal, state and municipal electoral and governmental processes to promote the ideals of the Democratic Party and to ensure that both government and the party addresses the concerns of the residents, working people, students and businesses of the Southeast Los Angeles area. South SLO County Indivisible — This is a group following the “Indivisible” guide, not affiliated with any particular political group-it is issues oriented. Anyone concerned with current issues is invited to attend join! Stanislaus County African American Democratic Club — Formed to influence the policies and outcomes that directly affect African Americans and their communities. Teachers Against Trump — I know a lot of people don’t like talking politics online. I don‘t always want to get into those things either. I created this page so that educators can express concerns and communicate with each other about topics that are relevant with this coming election, like, say, racism and violence on school campuses. Let’s be vocal. Together We Will, Fresno & Central Valley, CA – This private group is a Fresno affiliate of Together We Will USA, a network of people working for social justice at the local, state, and national levels. Valley Progressives — Valley Progressives is a coalition of organizers and activists throughout the San Joaquin Valley, from Sacramento to Bakersfield, who are dedicated to working to recruit and elect Progressives to all office levels throughout the Valley. Yuba Indivisible –Boom! That’s the sound our glowboxes made when the Indivisible guide landed late December ’16 and inspired us with sweet and clear tactics for taking on the power structure.